It is a well-known fact that most computers are susceptible to hard drive crashes or virus attacks. Backing up information is a practical and necessary precaution to protect one&apos;s data from being lost forever. There are several realistic methods for backing up data. The best backup method for your data depends opon many factors, including: the importance of the data, the amount of data to be backed up, and the funds available for backup. 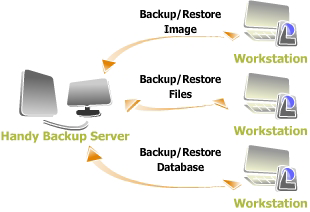 Here are some of the most commonly used data backup solutions. Flash memory, also known as memory sticks, flash drives, or thumb drives, are a suitable solution for data backup when the backup amount is somewhat small. Flash memory drives are easy to plug into any PC with a USB port. These drives offer unlimited rewrite capabilities and are available in capacities ranging anywhere from 64 MB to 4 GB. Flash memory data durability is estimated to be roughly 10 years. Another advantage of flash memory is that data stored on flash drives is not susceptible to damage caused by magnets. 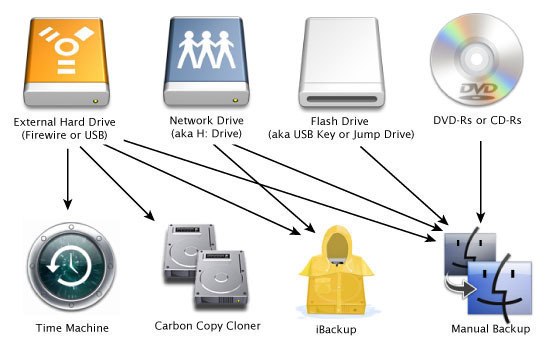 DVD backup is a practical alternative for home users and small businesses. DVD technologies include DVD-RW, DVD+RW, DVD-R, DVD+R, DVD-RAM, as well as dual layer DVD technologies. Single-layer DVDs can hold up to 4.7 GB of data and dual-layer DVDs can hold up to 8.5 GB. DVD technology is a suitable option for storing backup data medium amounts of backup data. As the prices of hard drives are dropping each year, individuals and businesses are turning to hard drives as a backup option. Copying and retrieving data from separate hard drives is very easy. The primary disadvantages are cost and the worry that a malware attack which affects the primary hard drives could also effect the backup hard drives. Combined with their decreased accessibility and the advances made in the availability of such storage devices as the CD-R, the CD-RW, and the DVD-R, tape backups have become less popular and practically obsolete for home computer users. However, tape backup is still the primary backup method used in business environments. Tape backups are available in numerous capacities such as 4mm helical for low-end systems, 8mm helical scan technology for mid-range systems, and AIT, DLT and LTO for high-end systems. Compared to several other media solutions, tape drives typically provide the highest storage capacities at the lowest cost. One drawback to keep in mind, however, is the write speed of these drives, which is comparatively low. Online storage is one of the newest methods of storing your files, of course backup data also. Onlien storage solutions enable people to upload their data to a reliable server located in a secure environment. Another advantage of storing files online is that users can access these files from any location as long as they have a computer with Internet access. 81 queries in 0.170 seconds.